alumni UBC and Wesbrook Village at UBC (DiscoverWesbrook.com) presents the inaugural Wesbrook Talks event (first in a three-part series). It will featureBusiness in Vancouver’s Influential Women in Business award-winners Barbara Brink, BA’63; Barbara Dunfield, BEd’80; and Barbara Kaminsky, BA’70, MSW’73, MSc’82, in a panel discussion with CBC’s Renee Filippone. Come learn about their influences, commitment to their community, and career paths; followed by a Q&A and reception.  Wesbrook Talks is a new and exciting series presented by Wesbrook Village and alumni UBC. It is designed to provide intimate opportunities to listen to and engage with prominent alumni in the community. The Irving K. Barber Learning Centre will be sponsoring the recording of this event for online viewing at a later date. Tuesday, June 10, 2014 6:00 – 8:30 pm Program begins at 6:00 pm with a reception to follow. Vancouver, BC, V6T 1W5 – map Free parking is available in Wesbrook Village. Barbara Dunfield, BEd(Elem)’80 – Chief Financial Officer, Newport Exploration Ltd and Sennen Potash Corp. Please RSVP online at http://www.gifttool.com/registrar/ShowEventDetails?ID=1420&EID=17594 before Friday, June 6, 2014. Questions? Please contact Nicola Schuck at nicola.schuck@ubc.ca or 604-822-9519. 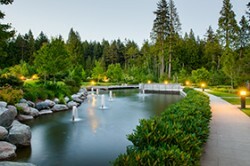 Wesbrook Village is UBC’s newest gathering place. 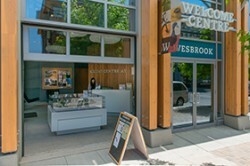 Wesbrook offers shops, services, a school, residences and a range of community services within a vibrant pedestrian-friendly setting, with easy access to Pacific Spirit Park, countless beaches and all the amenities of the UBC campus. Come visit us today – on Wesbrook Mall just south of 16th Avenue. Renee Filippone joined the CBC team in 2005 and in addition to hosting duties, is the CBC reporter based south of the Fraser. From transportation, to education and the environment, she has her eye on issues that matter to people in the Valley. She is a born and raised west-coaster, growing up in Burnaby and with a Metis mother and an Italian-Scottish-English father, she considers herself a true reflection of Canadian diversity. Renee has a Degree in Communications from Simon Fraser University and a Diploma in Broadcast Journalist from BCIT. She has received a number of Jack Webster and RTNDA award nominations for her work at the CBC and has worked in both radio and television, on air and behind the scenes. For twelve years Barbara Brink was a driving force behind the creation of British Columbia’s SCIENCE WORLD. As President of the Board of Governors and C.E.O. she spearheaded the campaign to obtain the Expo Centre, secure $12 million of public sector funding and oversaw the $19 million retrofit. SCIENCE WORLD opened in May 1989. The exhibits of its Outreach program now reach out across the province. In 1997 she returned as CEO during a major restructuring. With a new CEO in place she again chaired the Board for four years. She has been named a “Friend of SCIENCE WORLD”, an honour that she shares with Dr. Cecil H. Green, founder of Texas Instruments, Dr. Michael Smith, Nobel Prize winner, Hon. Stan Hagen, Haig Farris, John Pitts, and Dr. Ken Spencer. She is Vice President of Applied Strategies Ltd., a management consulting firm. For several years she was a provincially appointed Public Governor of the Vancouver Stock Exchange. She serves on the Boards of the Legal Services Society and the Institute of Chartered Accountants British Columbia. She is Co Chair of the Business Laureates of British Columbia Gala Dinner and Induction Ceremonies Cabinet. 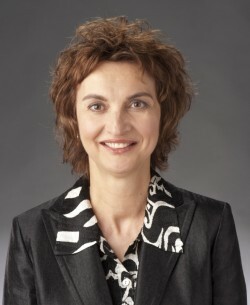 She serves on the Board of Junior Achievement of B.C. She is also Vice Chair of the West Vancouver Police Board. 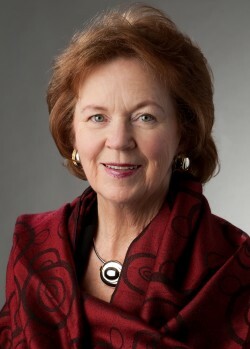 She is a past Chair of the Vancouver General Hospital and UBC Foundation. She is the immediate past chair and founding chair of the West Vancouver Community Centres Services Society which operates the new award winning Community and Aquatic Centres. The centres welcome over 1.1 M visitors a year. She was one of two BC appointees to the Western Canada Wait List panel. She served on the executive of the Provincial Capital Commission. She was a founder and Chair of Leadership Vancouver, a program to train and encourage the best of the community’s emerging new leaders. In 1999 she led the drive to establish 20 new programs across Canada. She was the first Canadian to serve on the Community Leadership Association, Board of Directors. She served as Vice Chair of the Laurier Institution, a think tank that studies the economic and socio impacts of immigration. In 1997 she chaired a national conference: “Equity, Community Participation and Citizenship”. This conference on social justice for the 21st century was co-sponsored by the Canadian Conference of Christians and Jews, to mark their 50th anniversary, and by Simon Fraser University. She was the 1995 and 1996 General campaign Chair, the United Way of the Lower Mainland. For many years she has been a volunteer trainer for the United Way Volunteer Leadership Development Program. In this capacity she has designed and presented over 150 courses on diversity, motivation, delegation, board/staff relations, strategic planning, governance, and fundraising. Previous commitments to the community include serving as chair for the 1991 Capital Campaign for the B.C. Cancer Agency, serving as chair or co-chair for a series of fund raising World Affairs Dinners that featured Henry Kissinger, Jesse Jackson, Benazir Bhutto, Lee Iacocca and Honorary Chair for the dinner with Mikhail Gorbachev. She has served as a director of the B.C. Heart Foundation, the Greater Vancouver Salvation Army Board, the Opportunity Rehabilitation Workshop, the Lester B. Pearson College of the Pacific, and KCTS Public Television. She is a Member of the Order of Canada and the Order of British Columbia; as a member of the Order of Canada she has presided at over 25 Citizenship Ceremonies. She was also a mentor for the 20 under 20 program sponsored by the Governor General. 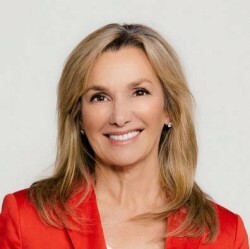 She is a recipient of the YWCA Women of Distinction Award and the Simon Fraser University’s 1994 President’s Club Distinguished Leadership Award. In 1993, B.C. Business Magazine included her as one of the 12 most powerful women in British Columbia, the only volunteer included in the group. She has been honoured on the occasion of the University of B.C.’s 75th anniversary as one of the 75 graduates recognized for service to the community. In 2001, to mark British Columbia’s entry into Confederation, she was named, by the Vancouver Sun, as one of 130 people who have made a significant contribution to British Columbia. In 2014 she was given the Lifetime Achievement Award for Business in Vancouver’s Influential Women in Business. Currently the Chief Financial Officer for two public companies, Barbara is viewed as an industry leader and expert in the mining industry. With her business skills and leadership, she has successfully funded a number of companies, and worked all over the world with projects in North America, South Africa, Southeast Asia, Australia and South America. Formerly an investment advisor with a large Canadian brokerage firm, Barbara has served as a Director, Secretary and/or CFO for a variety of organizations in the industry and previously acted as CFO and Director of Eastern Platinum, one of the top global platinum producers. Barbara also established the Barbara Dunfield International Business Competition Team Sponsorship Fund, which supports students who want to compete in international business challenges. Barbara, a UBC and SFU alumna, is a 2014 recipient of Business in Vancouver’s Influential Women in Business Award. Barbara Kaminsky has made a significant contribution in cancer control both in the province and nationally over the eighteen years as Chief Executive Officer of the Canadian Cancer Society BC and Yukon. She has been instrumental in changing the way government agencies, health care professionals and individuals view cancer and their role in preventing it. Her singular vision for cancer prevention has resulted in an increase in funding, more research and programs to help people reduce the risk of cancer and led to healthier communities. Following the creation of a Canadian Cancer Society Chair in Cancer Primary Prevention, she secured a partnership with UBC to create a new Cancer Prevention Centre in Vancouver. Other partnerships with the BC Healthy Living Alliance, the Canadian Partnership Against Cancer and BC Healthy Families have kept cancer at the forefront of public health issues. She is the past Chair of both the BC Healthy Living Alliance and of the Prevention Working Group for the Canadian Breast Cancer Foundation Vision 2020 initiative—The Future without Breast Cancer. Barbara has authored several publications and co-authored a book, The Health Impact of Smoking & Obesity and what to do about it. In addition to certification as a health executive, Barbara has three degrees from the University of British Columbia—a BA in English, a Master of Social Work, and a Masters of Science in Health Services Planning and Administration. She is currently an adjunct Professor at UBC and is a 2014 recipient of Business in Vancouver’s Influential Women in Business Award.